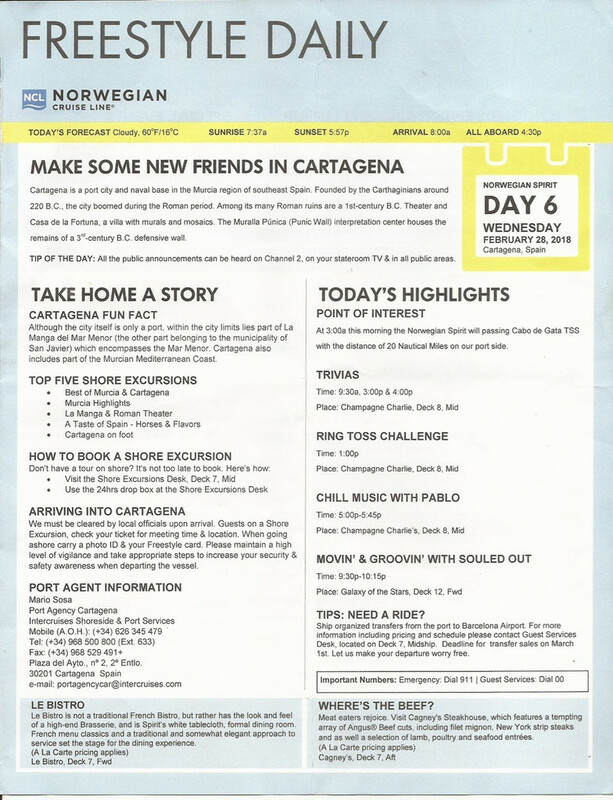 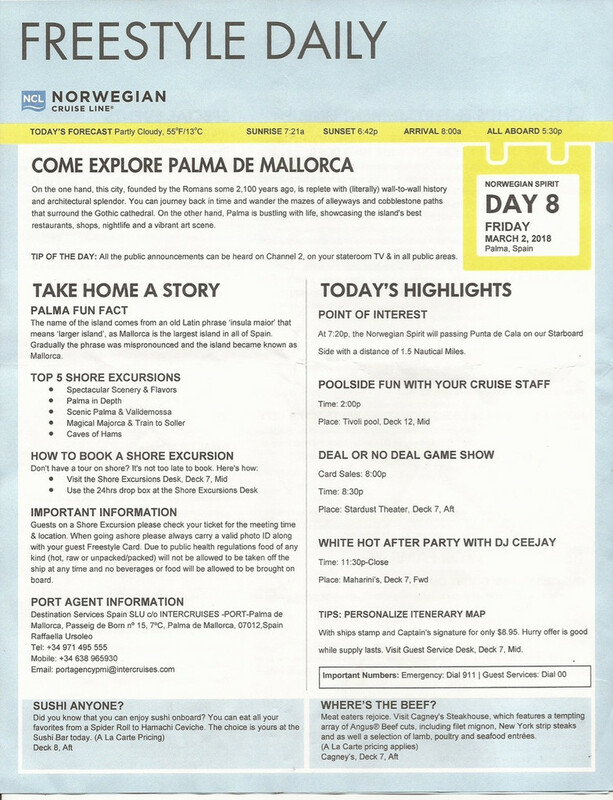 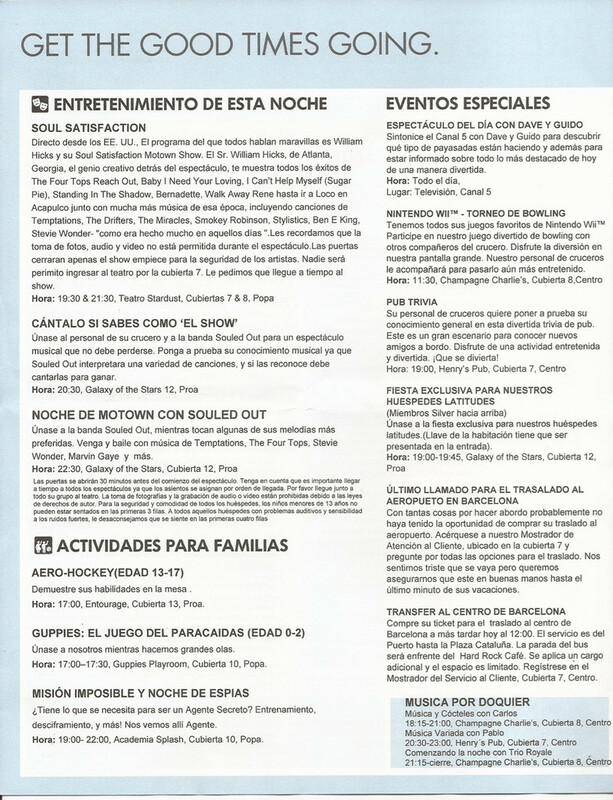 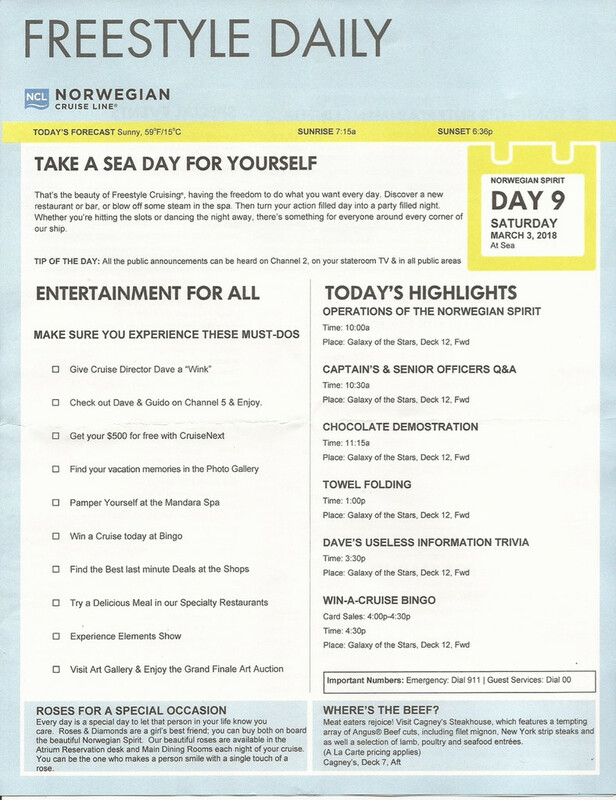 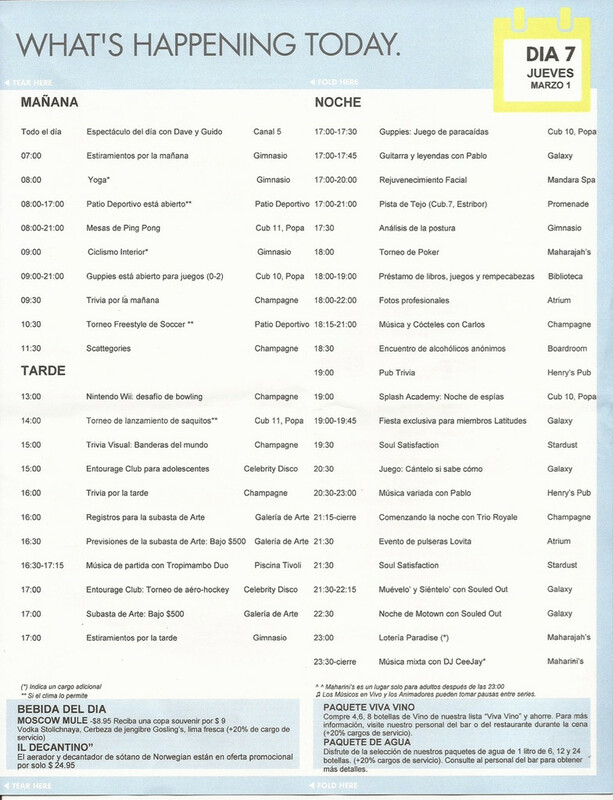 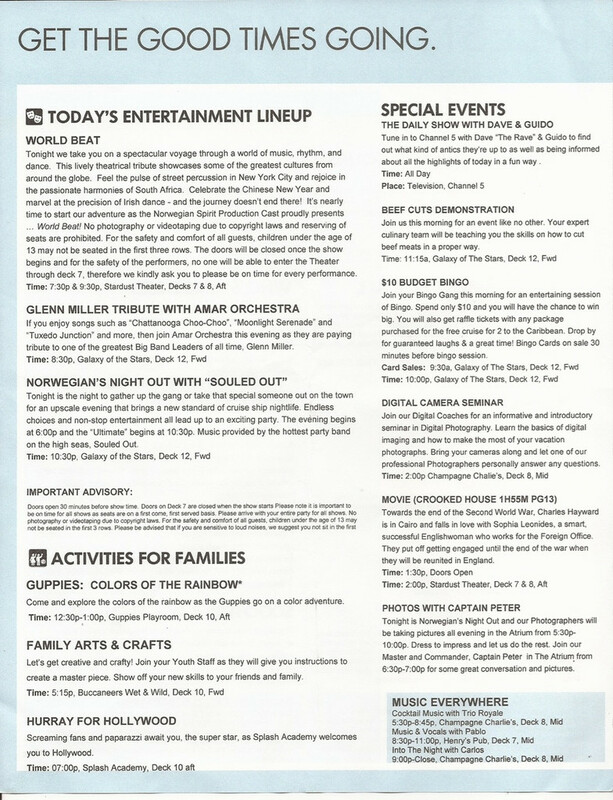 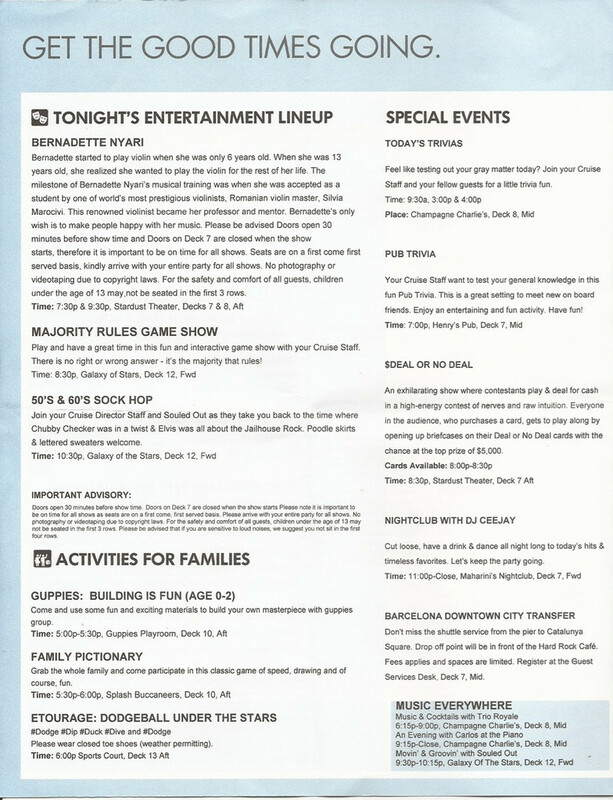 For your reading pleasure, here is a full set of recent Norwegian Spirit daily programs from Europe. 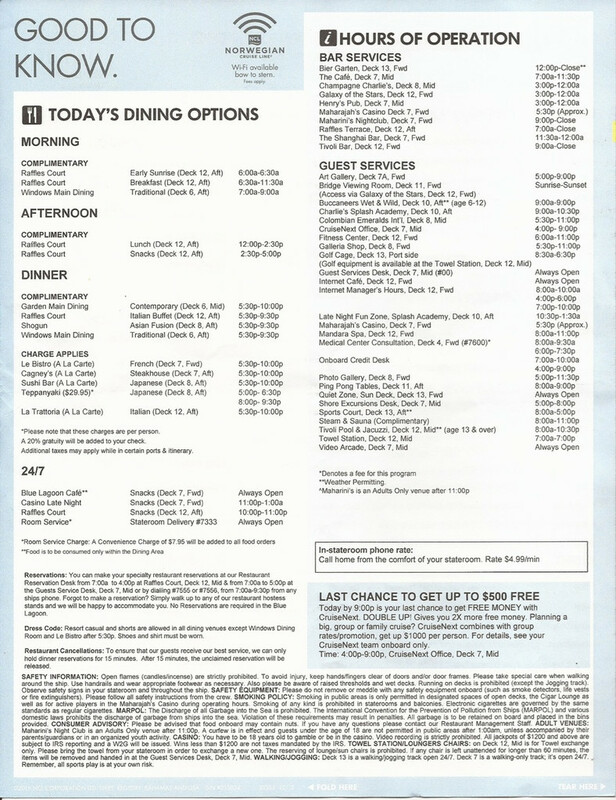 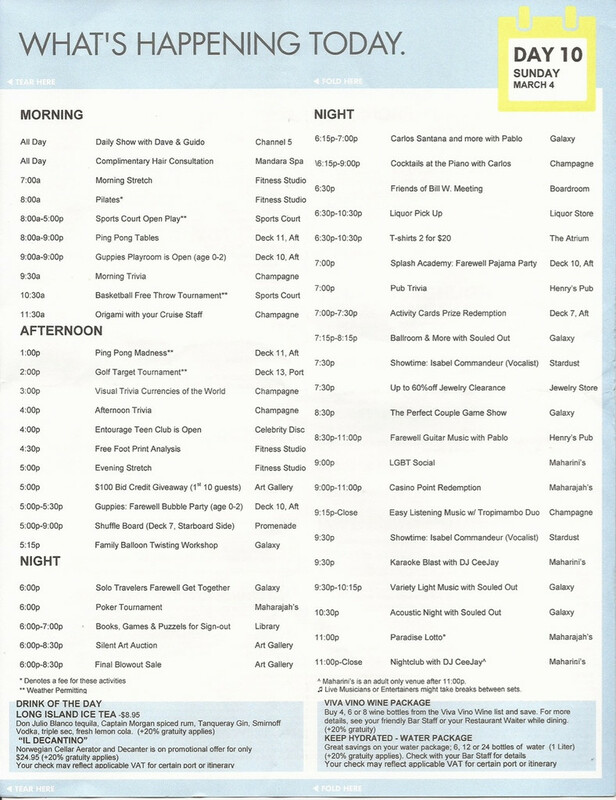 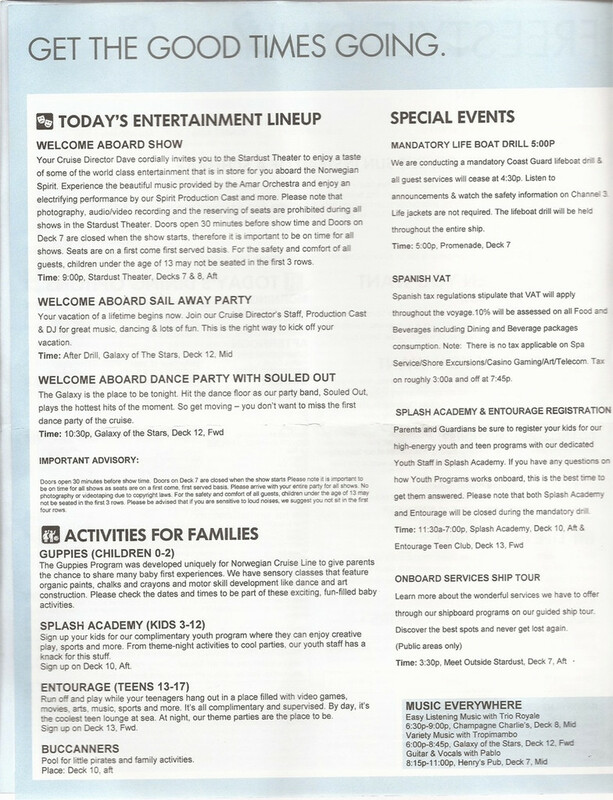 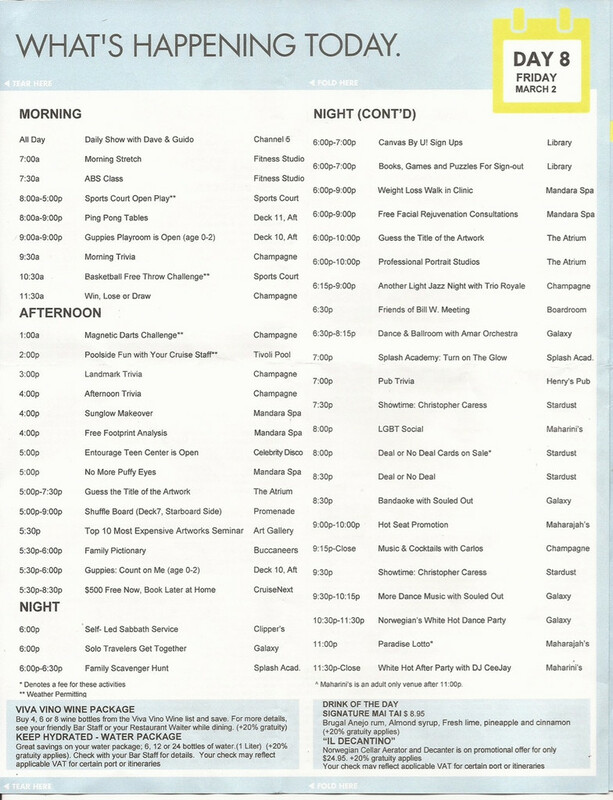 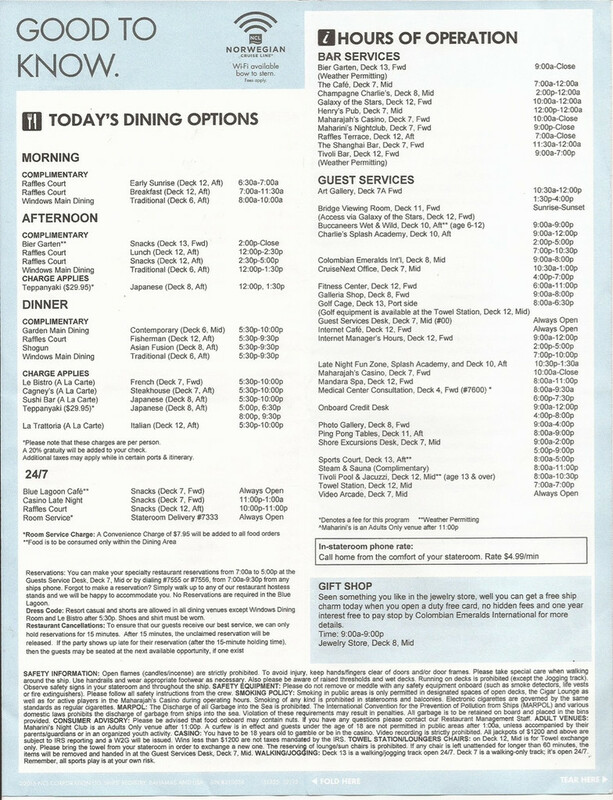 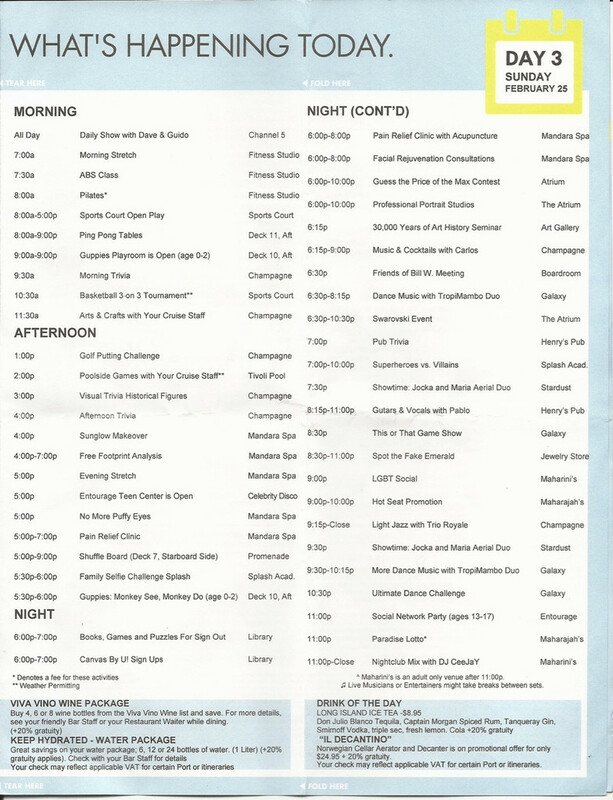 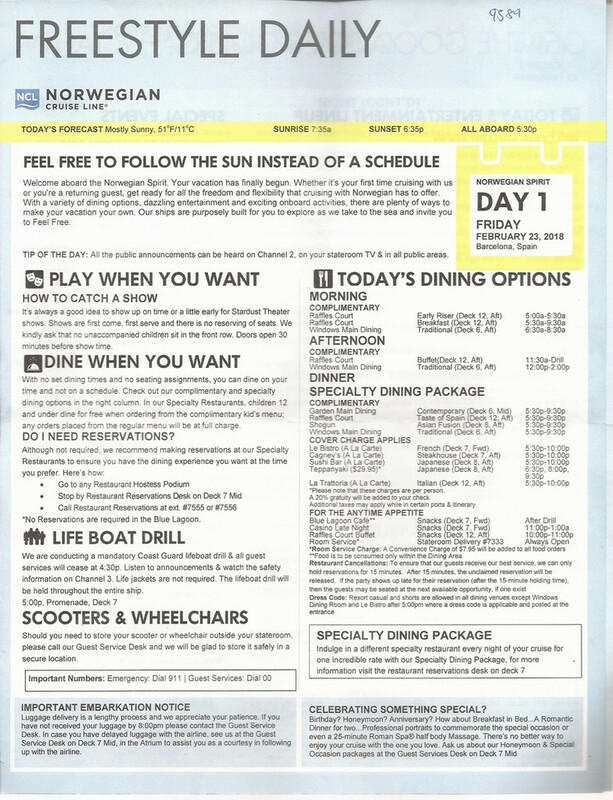 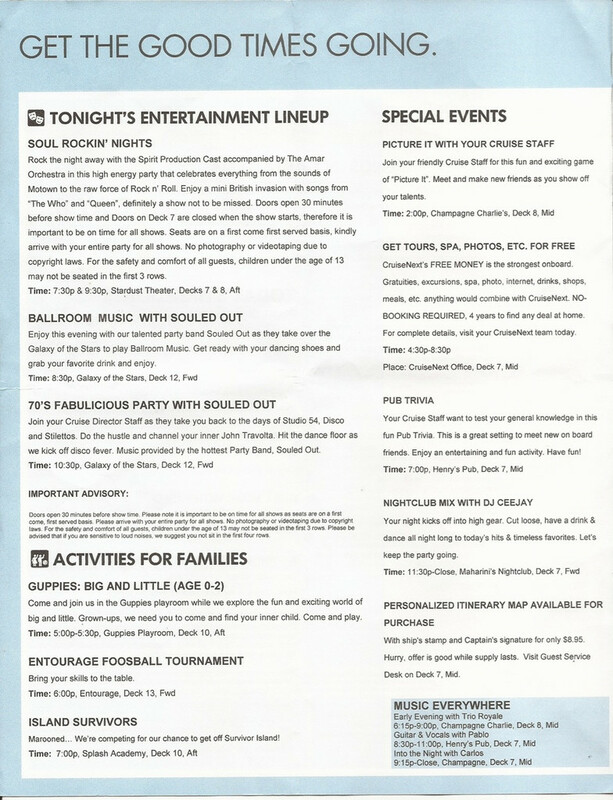 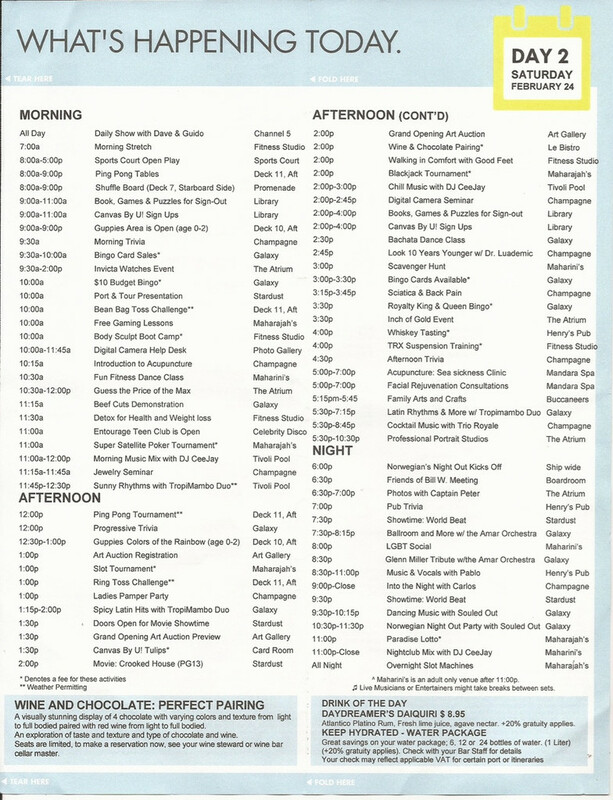 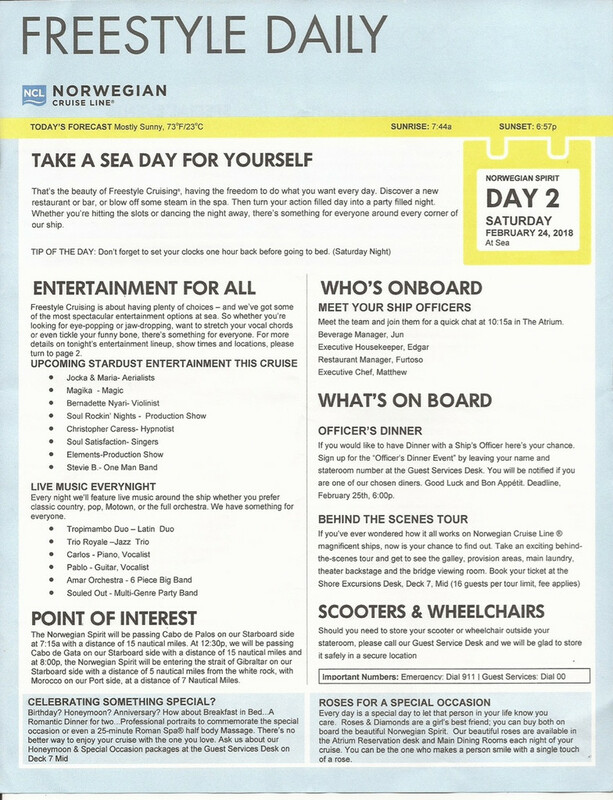 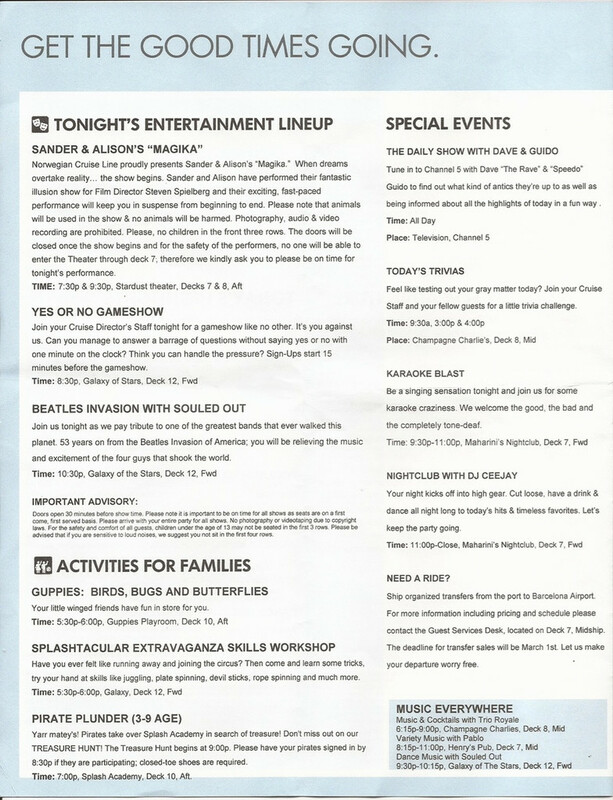 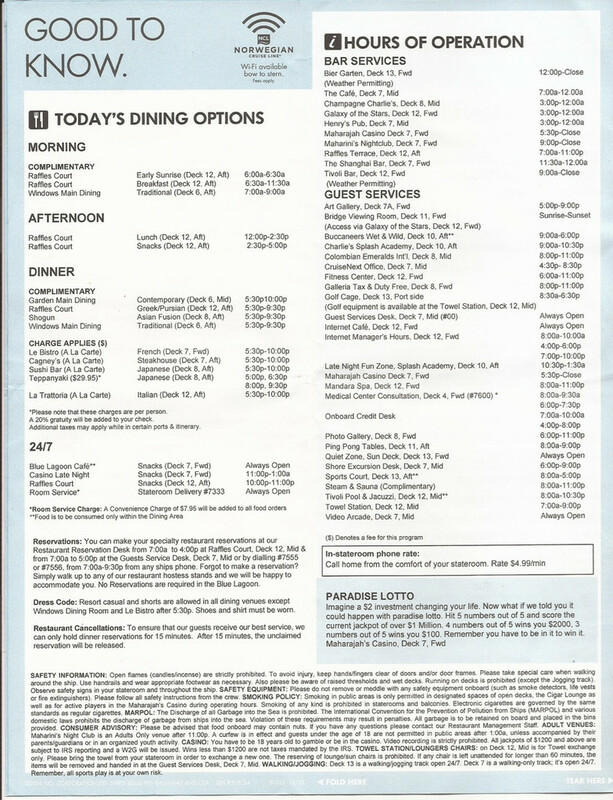 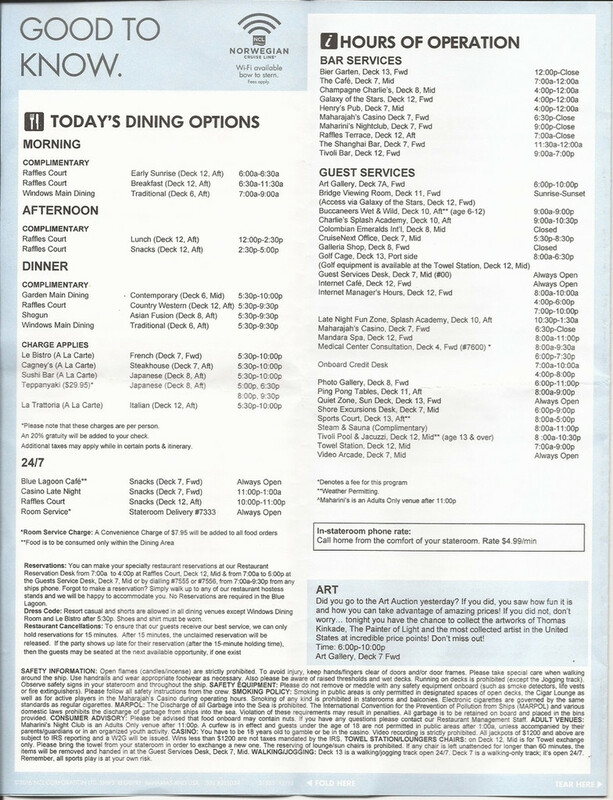 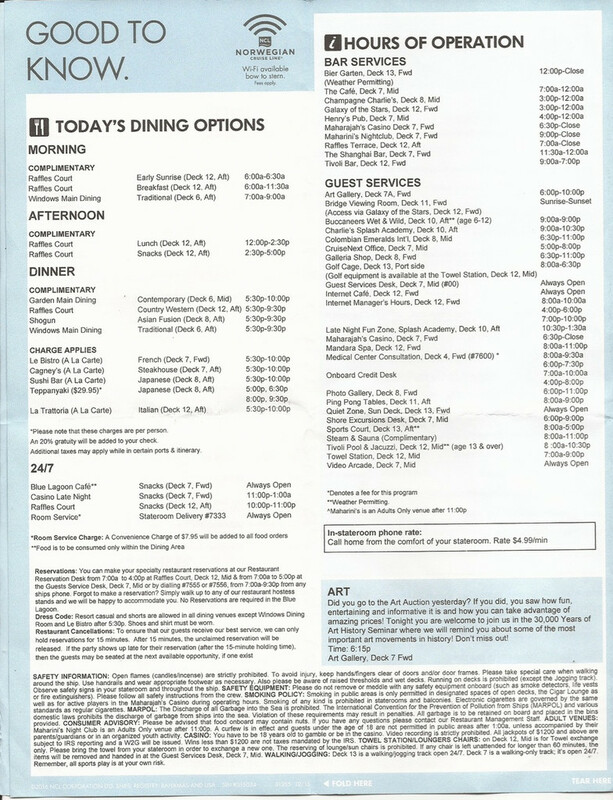 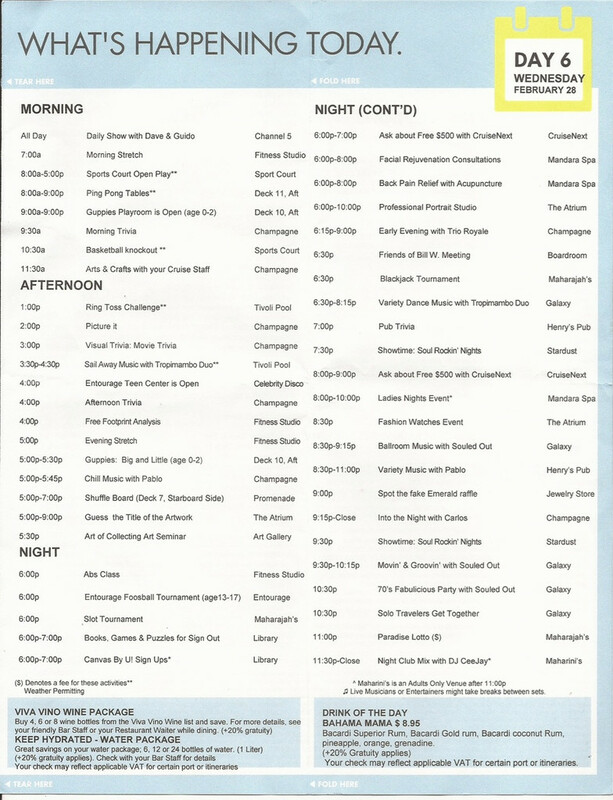 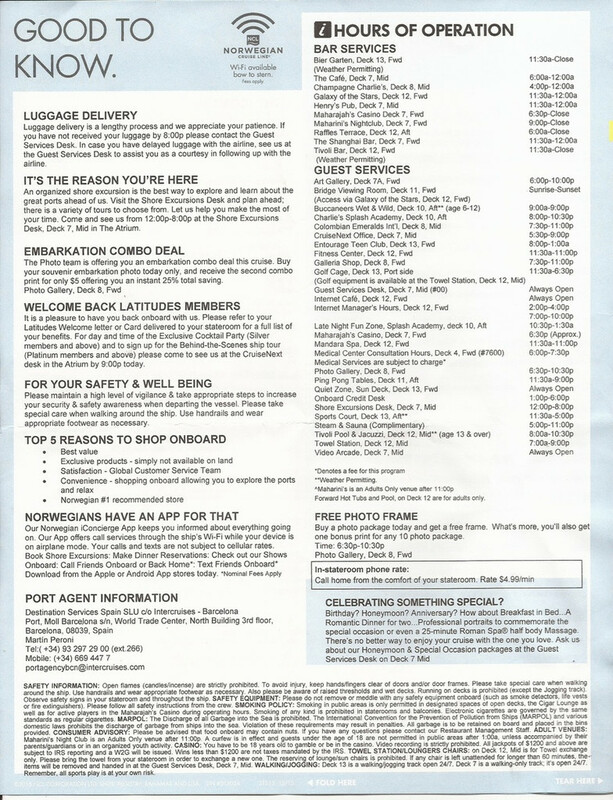 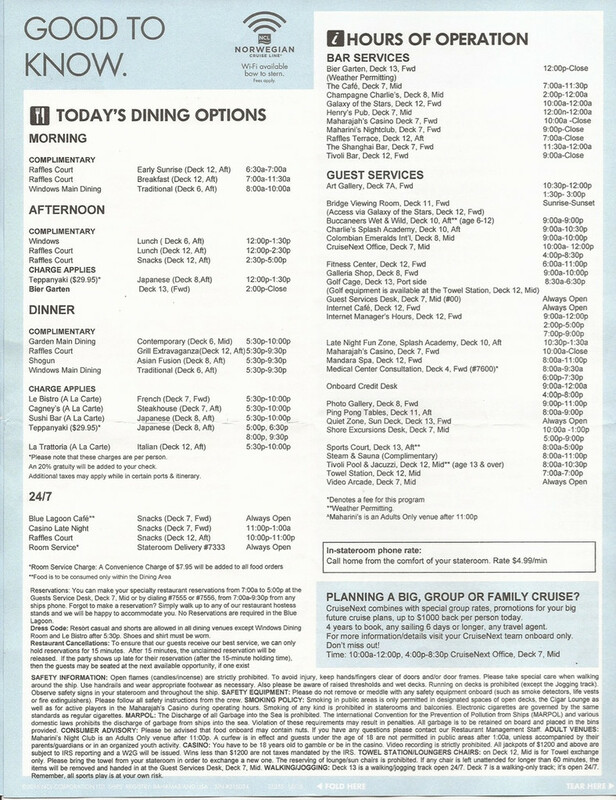 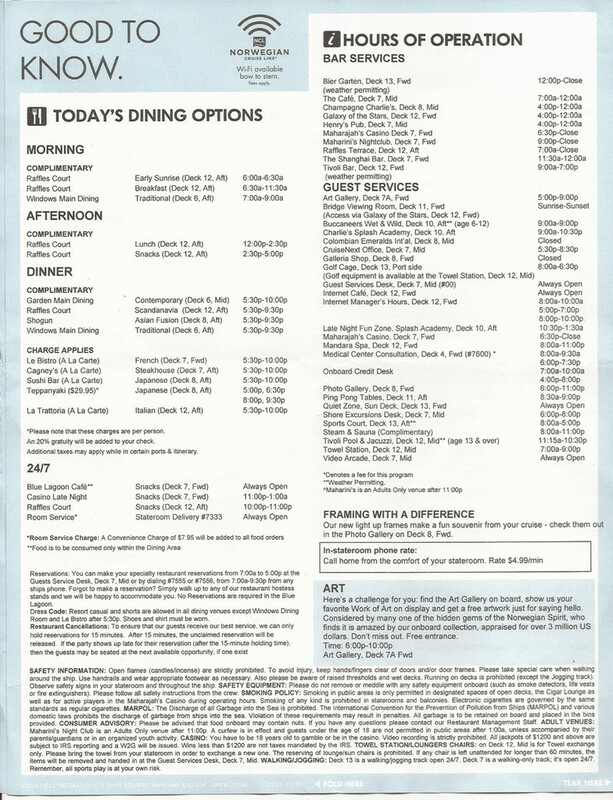 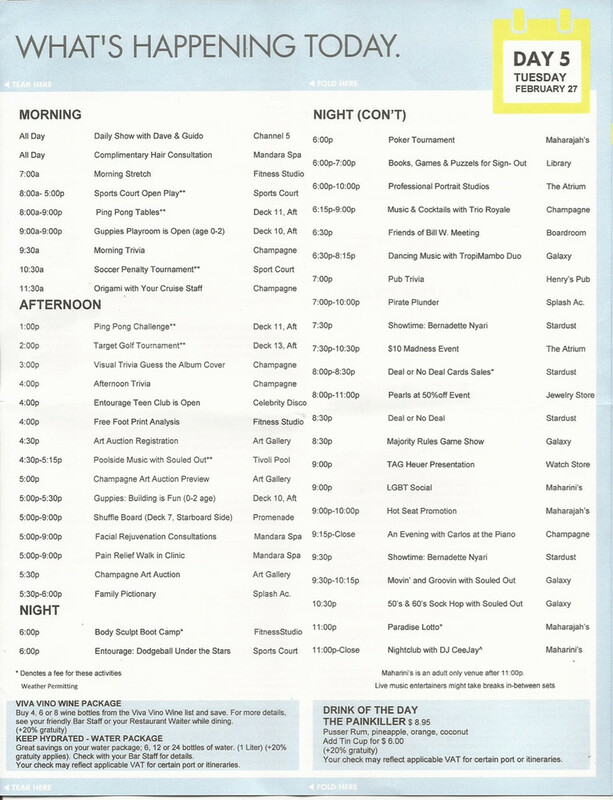 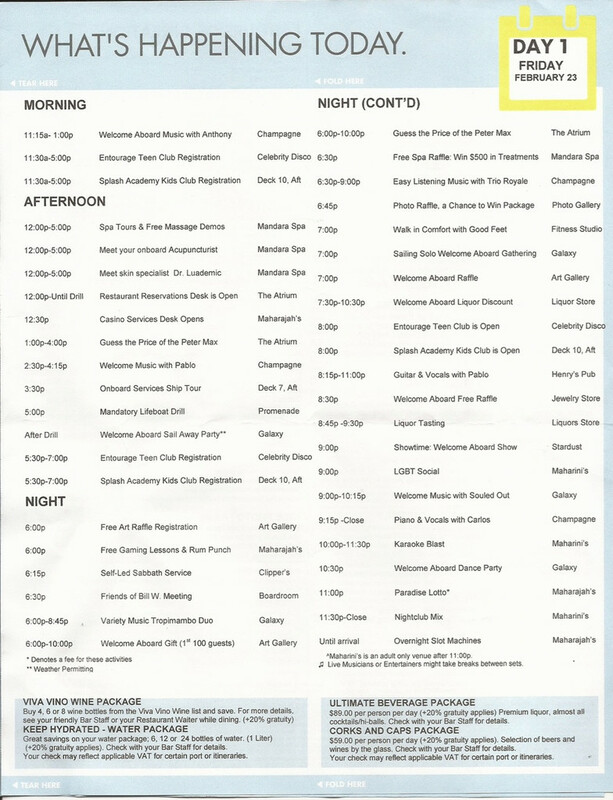 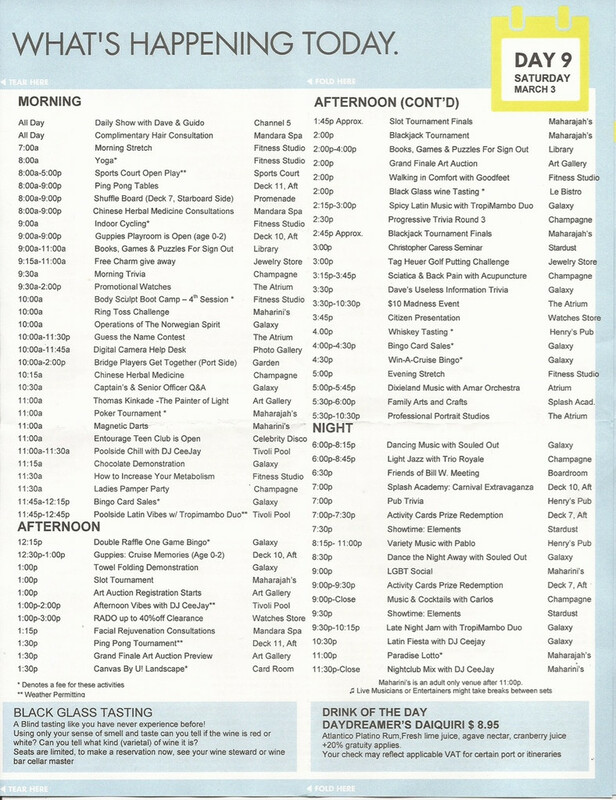 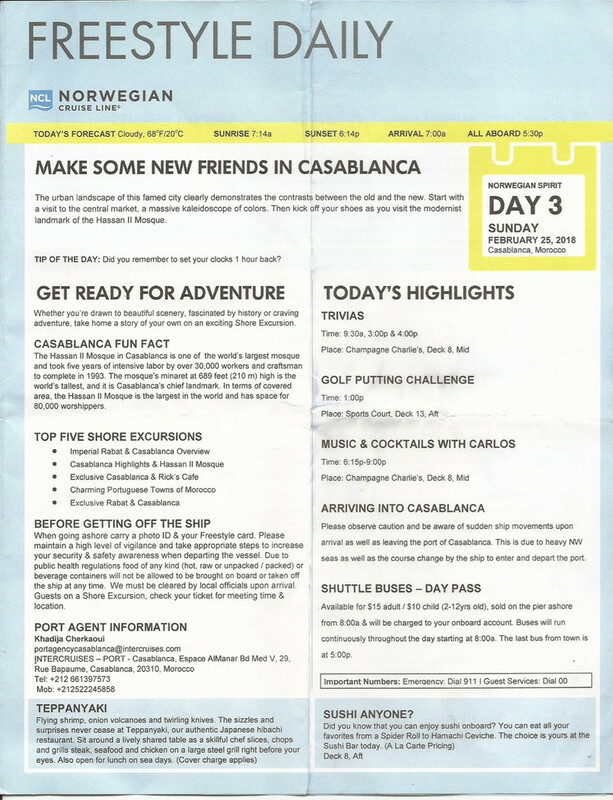 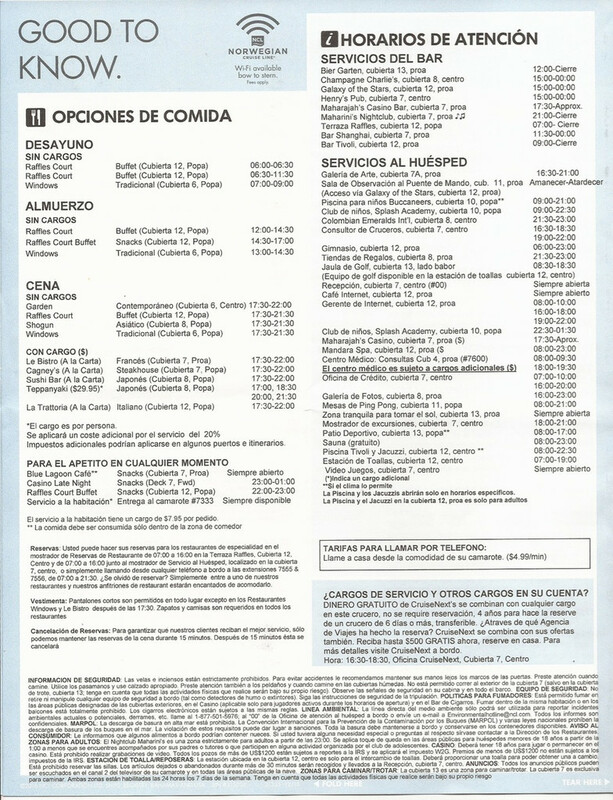 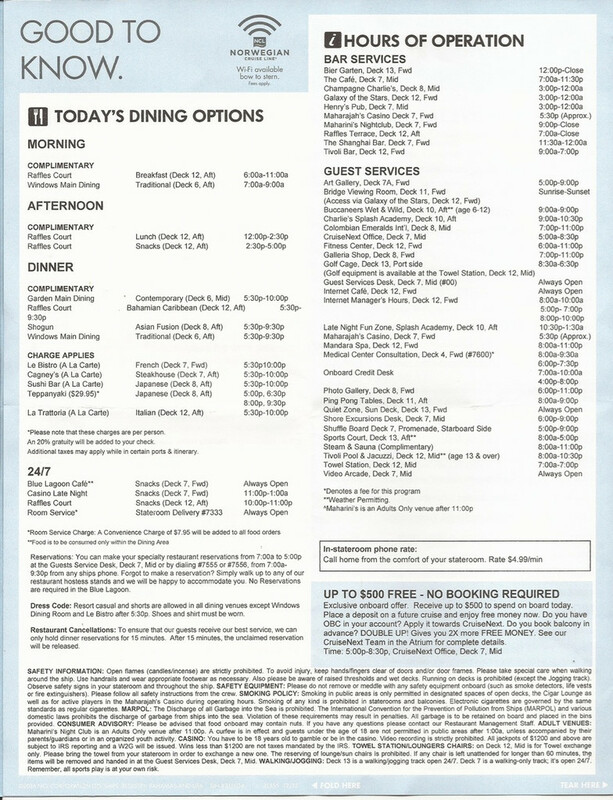 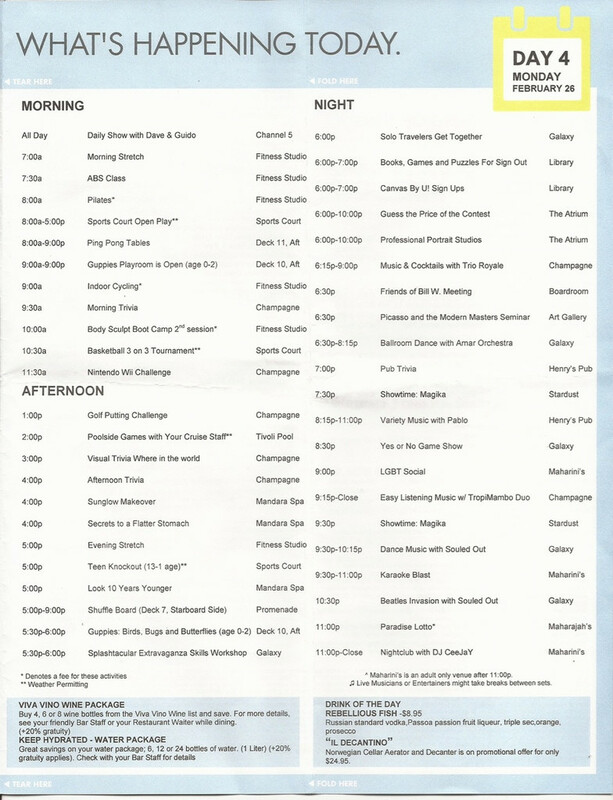 I know some cruisers like to read the “dailies” daily programs to prepare and get psyched for their upcoming trip! 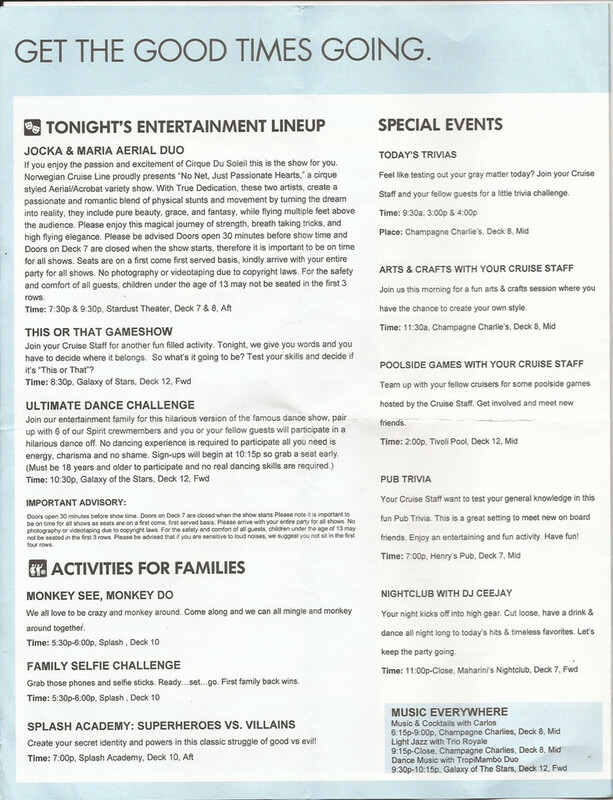 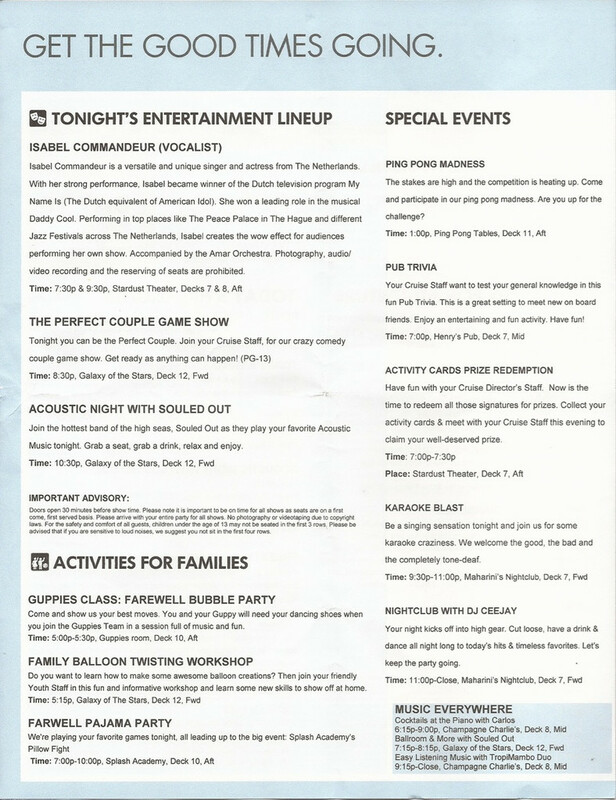 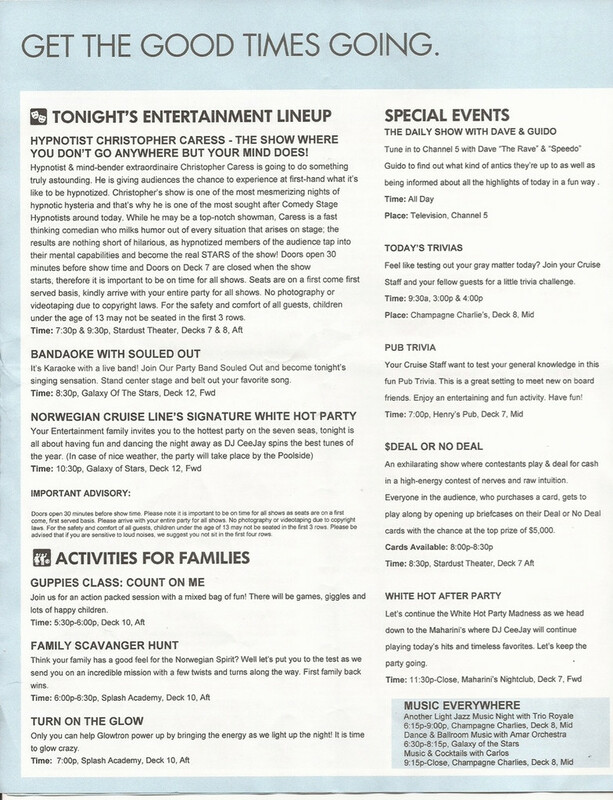 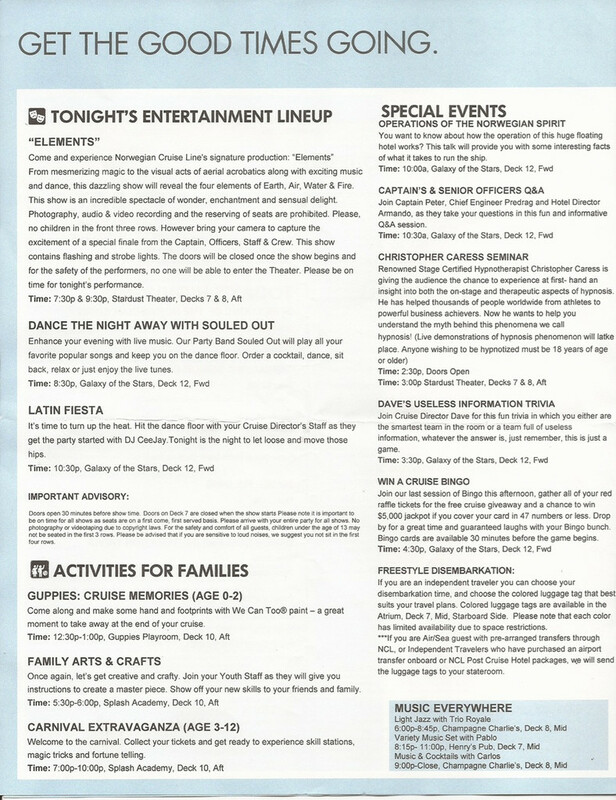 So here they are from our recent February 23, 2018 – March 5, 2018 10-night cruise on NCL’s Norwegian Spirit. 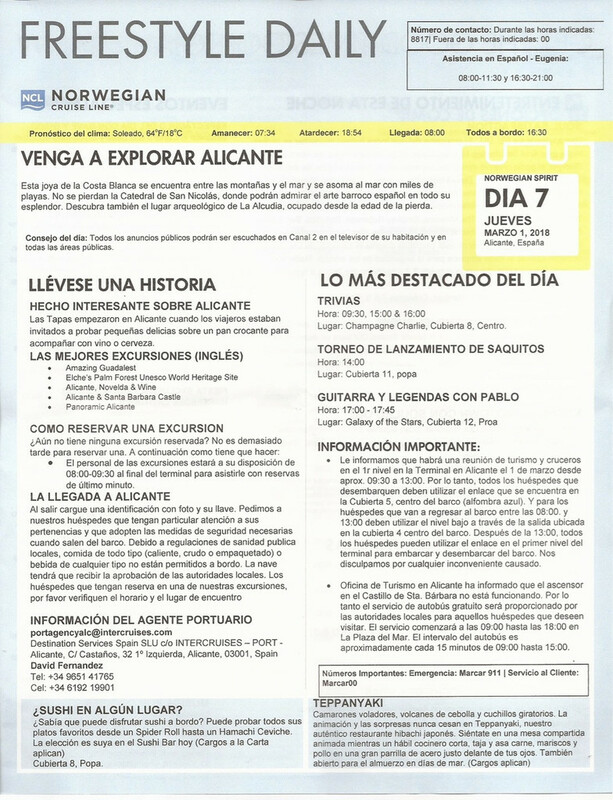 This cruise was supposed to call on the Canary Islands and Madeira, but those ports were cancelled because of bad weather. 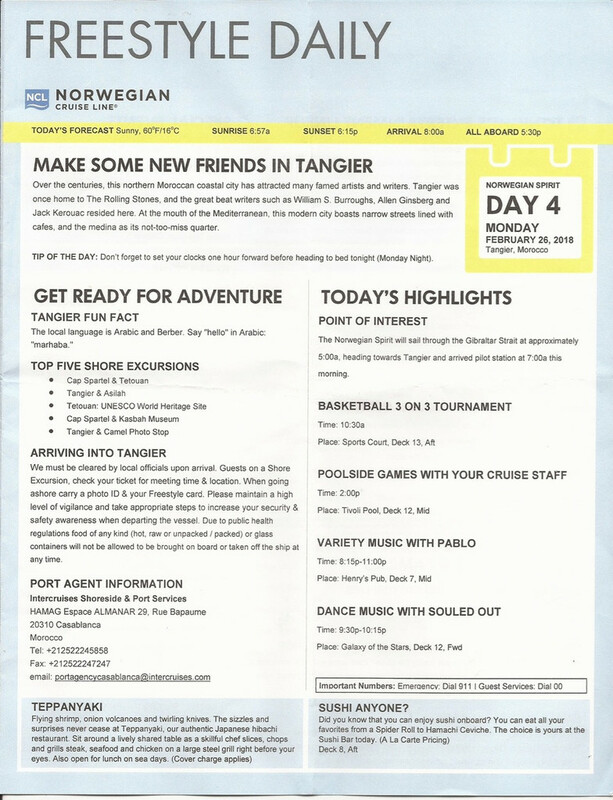 So we wound up visiting additional ports in Spain and Morocco instead. 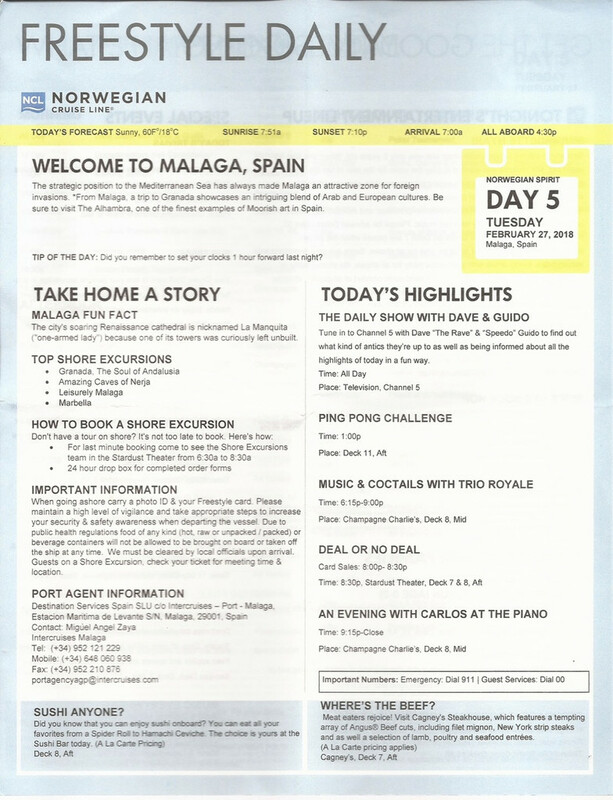 Copyright © 2019 Travel4Brews. 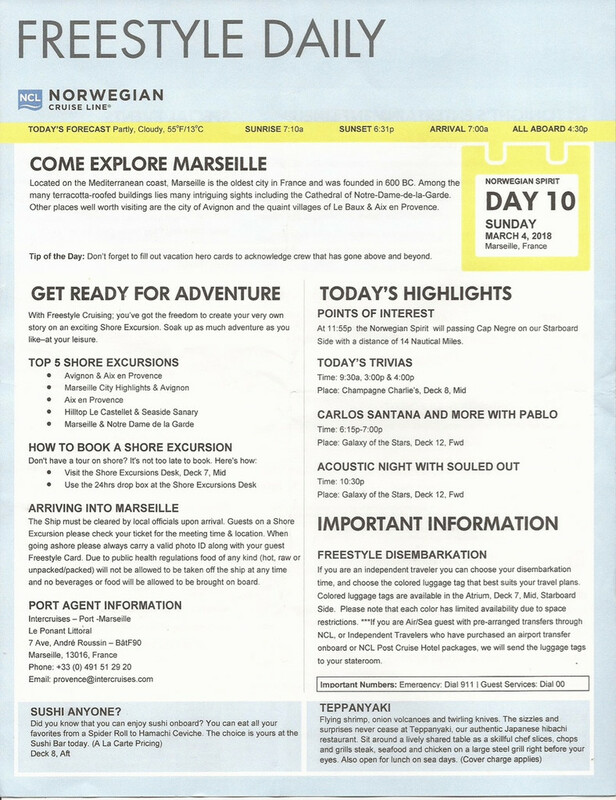 Powered by WordPress and Epic Base.